As of early March, Sellen Construction had poured 2,224 cubic yards of concrete and placed 286 tons of re-bar at the Swedish site. 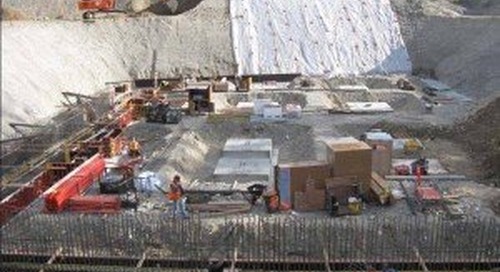 A majority of this material was used for the structural footing and foundation wall of the medical center. Also in March, shoring wall, excavation and structural footing activities started for the Medical Office Building (MOB) portion of the facility. A second large crane has also been delivered and erected. As the project continues, this additional crane provides needed support in hoisting materials for the MOB and hospital wings.